Most troublingly, guards have been using physical intimidation and invasions of personal space to harass prisoners who speak up against these practices. In violation of their own rules individual guards have been entering prisoners’ cells at night,with an institutional history of sexual violence and exploitation of prisoners by guards at GVI, this can only be understood as a threat. * Why are you criminalizing inmates’ sexuality? * Why are you denying people in segregation access to their lawyer? grievances about abuses of power by guards? Now that these situations have been brought to my attention, I will continue to follow the situation to ensure these issues are resolved. THANK YOU FOR MAKING THIS CALL! Nowget all your friends to call, too! 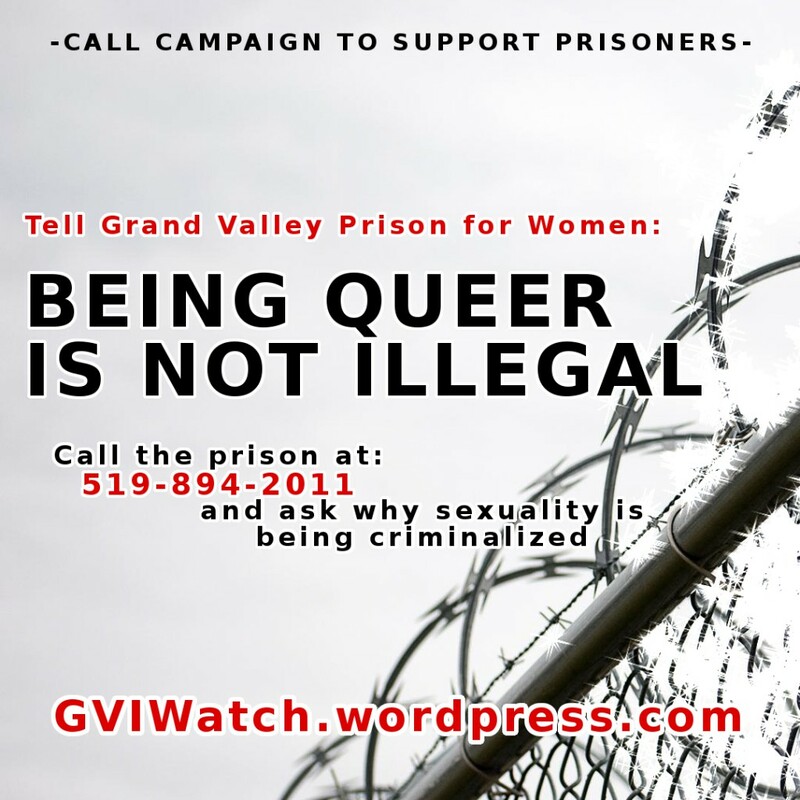 Visit the website: GVIWatch.wordpress.com, to share with others about what making the call was like for you and for further updates. This entry was posted in Actions, GVI. Bookmark the permalink.